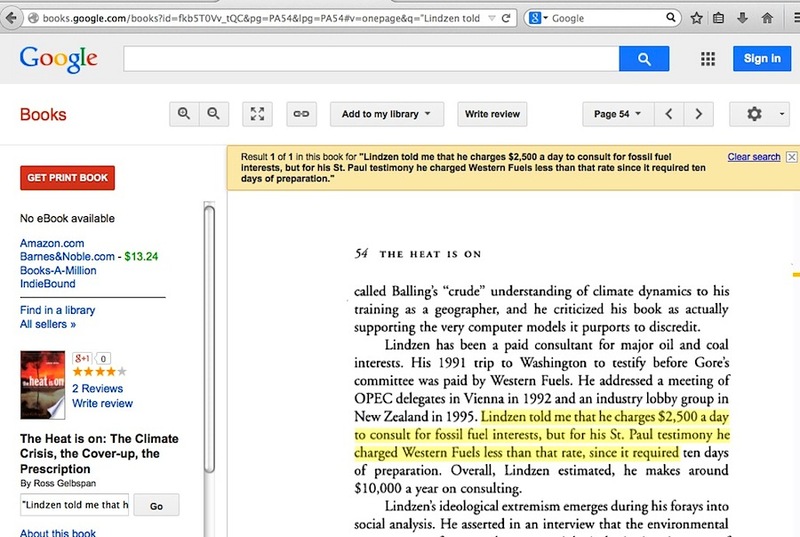 Lindzen, for his part, charges oil and coal interests $2,500 a day for his consulting services. Lindzen told me that he charges $2,500 a day to consult for fossil fuel interests, but for his St. Paul testimony he charged Western Fuels less than that rate since it required ten days of preparation. Stop and think about the 1995 to 2013 time frame, from the first to last assertion that he charges $2500 per day for his services. Would a man having Dr Lindzen’s PhD-level intelligence never consider the economics of inflation, and thus never raise the rate he charges over nearly two decades? 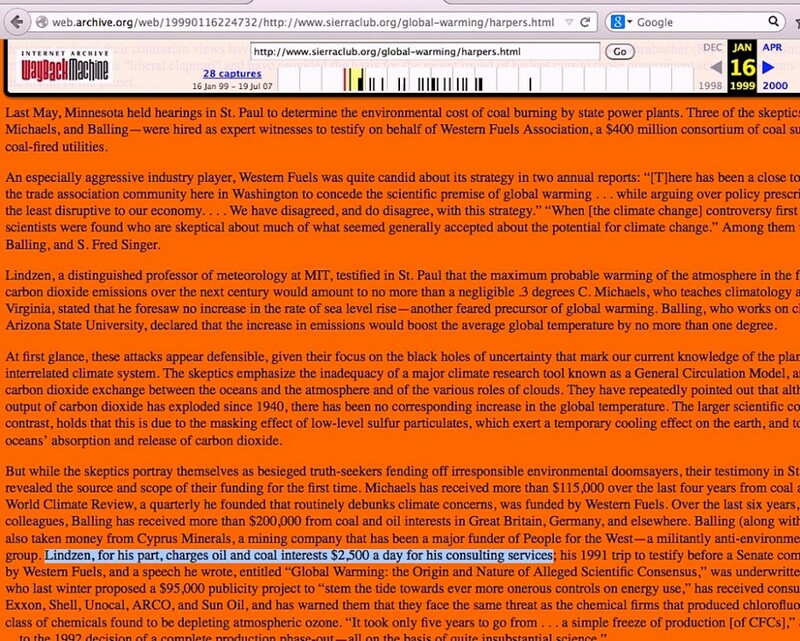 I have accepted two lecture fees from oil and coal firms about 17 years ago. …. The above represents the totality of my paid association with oil and coal firms. It is totally irrelevant if a person says they charge $20 per day or $20 million per day, if they never actually get the money, and there is still no relevance to the amount when no evidence exists to prove it was received under an agreement obligating the person to lie to the public. 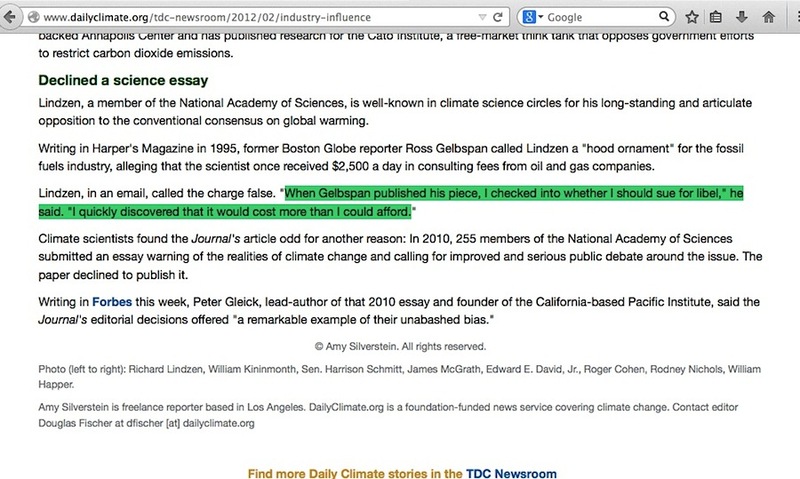 When Gelbspan published his piece, I checked into whether I should sue for libel …. I quickly discovered that it would cost more than I could afford. Considering the entire “$2500 per day” accusation originates from Gelbspan and nobody independently corroborates it, who could blame Dr Lindzen for seeing if he could sue him? The pure farce of it all is how the people repeating it don’t have the intellectual curiosity to wonder why the amount never changes. 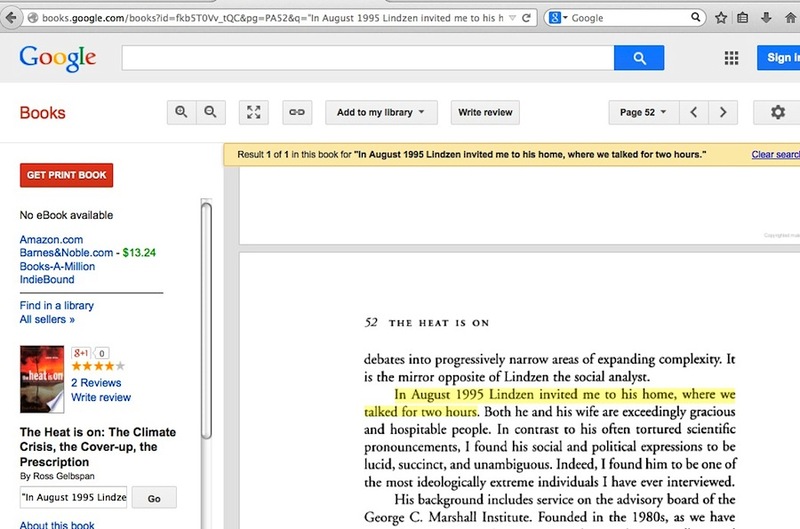 This entry was posted in accusation repetition, Narrative derailment and tagged Richard Lindzen by Russell Cook. Bookmark the permalink.